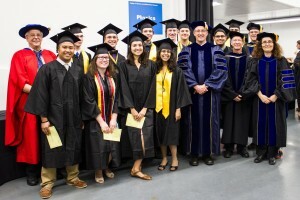 The Department of Physics is very proud of our undergraduate and graduate alumnae and alumni. Their knowledge of physics, their critical thinking skills and their capacity to learn have enabled them to go on and develop a variety of successful careers worldwide in industry, in Federal laboratories and in academia. Below are career details for a number of our alumni/alumnae. If you are an alumna or alumnus, we encourage you to share your latest news with us (privately if you wish). Stephanie is currently a Physicist in the Underwater Electromagnetics Sensors branch of the Naval Surface Warfare Center, Carderock Division. In his senior year at UMBC Phillip was awarded a Gates Fellowship, one of the world’s most selective academic awards, enabling him to pursue a PhD in physics at the University of Cambridge in the UK. Phillip is now a Postdoctoral Fellow at NASA Goddard Space Flight Center. Lauren successfully defended her PhD thesis in Biophysics at Johns Hopkins University on November, 11, 2010. Anthony is now an Assistant Professor at the University of Notre Dame in the Department of Electrical Engineering. Yoon-Ho is a Leader in the Department of Physics Pohang University of Science and Technology. David is a NASA Scientist working in Mesoscale Atmospheric Processes Research. After graduating from UMBC in 1999, Dedra went on to obtain a PhD in Physics in 2006 from Ohio State University. She is now a Learning Design and Research Specialist at CNDLS, at Georgetown University. Shane is a the Chair of the Physics Department at Grove City College in Grove City, Pennsylvania. Darren is a Professor of Physics at Shenandoah University in Winchester, Virginia. After 10 years working as a research scientist at The Johns Hopkins University’s Applied Physics Laboratory, Todd returned to UMBC’s Physics department in 2006 as a member of the faculty. Todd‘s research is in the area of quantum optics and quantum information.